With the right kind of filtration a dirty working environment and dusty end products will simply be a memory! Read more about how Alexander Dzogas, workshop manager at Lucchini Sweden AB, decided to sort out the dust problems once and for all with the help of Absolent and create a better working environment for the staff at the same time. Lucchini Sweden AB, Surahammar, Sweden Lucchini is since 1866, the only company in Scandinavia, manufacturing wheels, axles and wheel sets for rail vehicles and is the Nordic market leader. Lucchini contacted Absolent in 2010 regarding the problems experienced with dust and smoke from four circular lathes in the factory. It was mainly during the turning process that carbon was released and problems arose. As always when Absolent sets out to solve a problem, careful planning was performed in order to recommend the right filter unit and air volume for the task. Among other factors the particle content which caused the large dust problem was examined. Despite the fact that the factory was often thoroughly cleaned there was a layer of dust covering the machines as well as the finished products just one day after cleaning, The production area simply always looked dirty. During 2011, Absolent conducted several tests with air curtains to prevent the contamination from spreading into the room, as it was not possible to encapsulate the machines. Based on these tests, Lucchini decided to opt for an air extraction capacity of 4000 m³/h per machine and a three meter long air curtain. 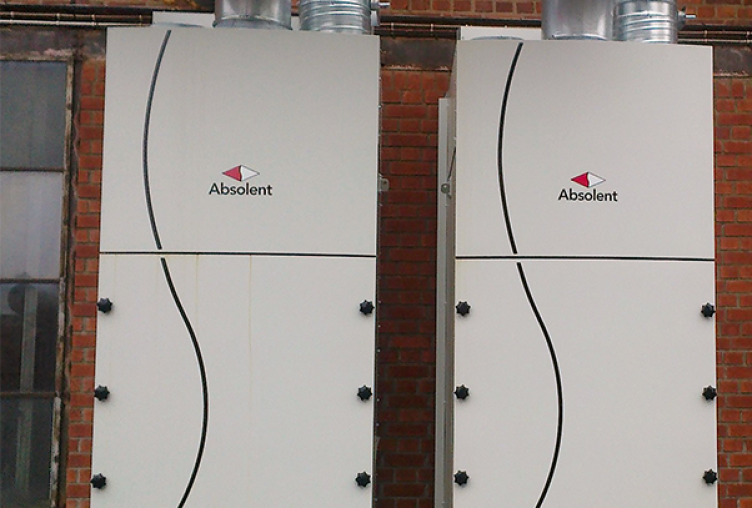 In 2012, Absolent installed two A•dust15 filter units with EcoDrive for an energy efficient operation and connected them to the four circular lathes. We can now conclude that the particle content has been reduced to 0.1 mg / m3. That is a reduction of 81.3% which Lucchini are very pleased with. All the process air can now be returned to the premises and the staff experience an improved working environment. Today minimal dust remains.Finally there is a noticeable difference when the procution area has been cleaned and more importantly – it remains clean. Lucchini was so satisfied with the results after installing the new filters that it even caught the attention of the group management in Italy. – We are pleased that we chose to install new filters because the results have been far beyond what we expected! We never thought that the dust could be reduced by as much as 81 percent! Everyone at the company is experiencing a big difference, says Alexander Dzogas, workshop manager at Lucchini Sweden AB.